A graduate of Agricultural Economics from the University of Ibadan and holds a Master’s of Science Degree (Marketing) from the University of Lagos. 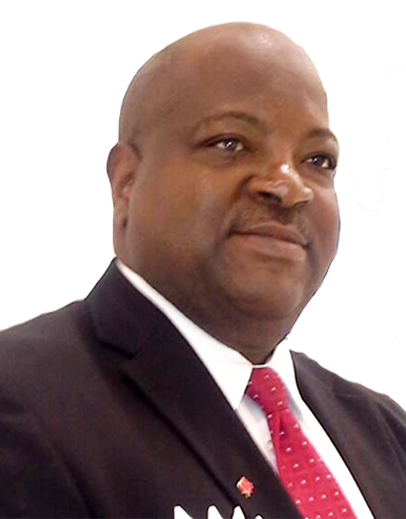 He is a Fellow of the Chartered Insurance Institute (FCII) of London and Nigeria, a Certified Insurance Professional (CIP) of the Insurance Institute of Canada, a Certified Project Management Professional (PMP) of the Project Management Institute and a Certified Business Analysis Professional (CBAP), International Institute of Business Analysis (IIBA). He has attended several management courses locally and internationally, including: The Advanced Management Program, Lagos Business School, Pan African University, the Executive Education Program, London Business School; Business Analysis Certificate Programme, University of Toronto and several African Insurance Organization (AIO) Management Conferences among others. His professional experience spans 27 years with leading insurance and financial service institutions at management and board levels both locally and overseas. In the recent past, he worked as a Consultant Business Analyst at North Waterloo Farmers Mutual Insurance Company Canada, where he provided leadership, mentoring and direction to the Business Analysis Team in implementing strategic initiatives and assignments. He worked for Hewlett-Packard Enterprise (Canada) Co. as a Sr. Consultant (Business Transformation) leading a team of Business Analysts in implementing business re-engineering and business process improvement initiatives at Manitoba Public Insurance Corporation. His last assignment in Canada was the role of Manager Projects – Insurance Practice at Cognizant Technology Solutions Inc. implementing Guidewire insurance application for TD Insurance, Montreal, Canada before joining Zenith General Insurance Company as the Executive Director, Technical & Operations. Currently he is now the Managing Director/CEO at Zenith General.